Felix loses his job as Artistic Director of the Makeshiweg Theatre, when his ambitious interpretation of The Tempest goes to far. Exiled from his old life, he takes a job in a prison, teaching inmates to perform theatre. When an opportunity to take revenge on those who have wronged him presents himself, he sets out to direct The Tempest once again. It’s the words that should concern you, he thinks at them. That’s the real danger. Words don’t show up on scanners. Hag-Seed is part of the Hogarth Shakespeare series, a project where contemporary writers reinterpret different Shakespearean plays. 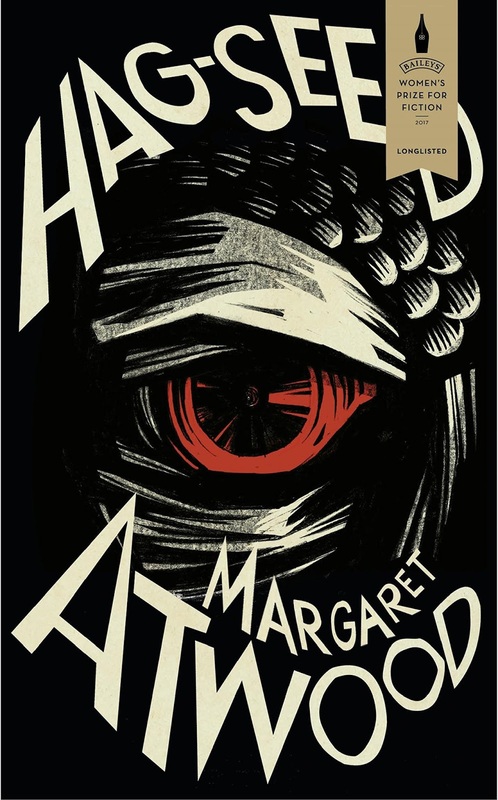 Obviously, Margaret Atwood has taken on The Tempest, using the theme of imprisonment as a spring board. The message here is that Shakespeare can be for everyone, it's not elitist and the bard's stories were intended to entertain a wide audience. Those in charge don't believe resources should be spent letting prisoners have access to the arts, what good will it do them? But arts can be part of rehabilitation rather than only providing punishment. Near the end, the prisoners reflect on what they think happens next. I felt that they were influenced by their own lives, and I would have loved to have more about them woven through the story, so we know how the play impacted them. At the end of the book there's a summary of the plot of the real Tempest, which might prove useful to those not so familiar with the play. Felix is the Prospero, but who is the Caliban? Maybe each prisoner plays that role, with preconceptions and little chance of redemption given to them. The rest of his life. How long that time had once felt to him. How quickly it has sped by. How much of it has been wasted. How soon it will be over. There are two Mirandas, but Felix's daughter ends up playing the role of his Arial. She died when she was only three and he invents the girl she would have become in his head. I did not like the chosen narrator, he was rather monotone and the voices for the inmates weren't convincing. There are several places where one raps for the play and this narrator cannot rap. I think they were going for someone who sounded posh enough to be an artistic director rather than an adaptable voice actor.